You can download A Caregiver's Guide to Alzheimer's Disease: 300 Tips for Making Life Easier by Patricia R. Callone , Connie Kudlacek , Barabara C. Vasiloff , Janaan Manternach & Roger A. Brumback free in pdf format. "An estimated 5 million Americans have Alzheimer's disease. That number continues to grow - by 2050 the number of individuals with Alzheimer's could range from 11.3 million to 16 million. Alzheimer's disease is not a normal part of aging. It is a devastating disorder of the brain's nerve cells that impairs memory, thinking, and behavior. 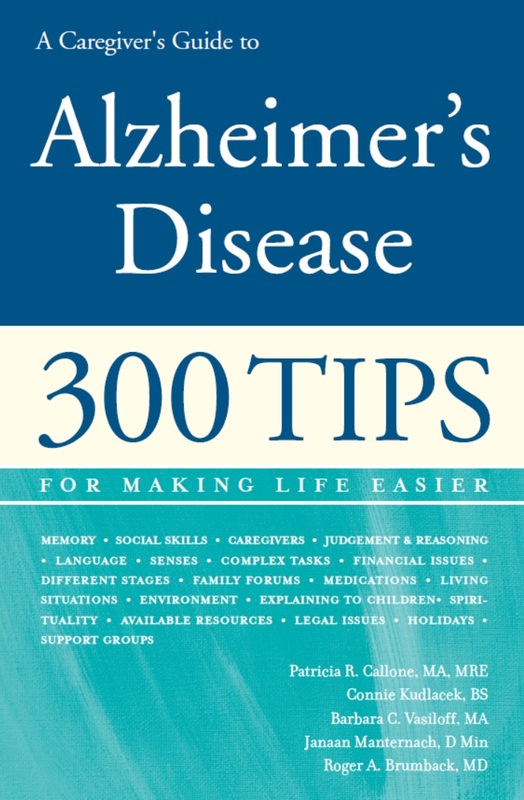 Written for patients, their families, and caregivers, A Caregiver's Guide to Alzheimer's Disease: 300 Tips for Making Life Easier will help readers understand what is physically happening to the brain so they can empower their own special skills and talents throughout the disease process. 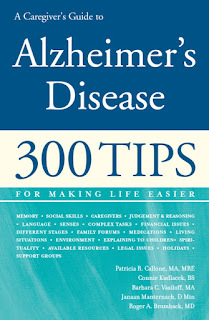 The book is divided into three sections that correspond to the progression of Alzheimer's and the unique challenges encountered at each stage.